Pete Dubois was out riding his bicycle in the spring of 2016, one of his favorite hobbies, when he started feeling bad. In the years following, Dubois had numerous heart catheterizations and still experienced chest pain. He was constantly tired and unable to do any of the things he enjoyed doing. Soon after Dubois ended up in the hospital again, which led him to receiving care from Dr. Raj Chandwaney, interventional cardiologist at Oklahoma Heart Institute. Dubois was very confident with Dr. Chandwaney’s decision. Dr. Chandwaney was able to repair the CTO in Dubois’ heart and he is no longer experiencing daily chest pain. 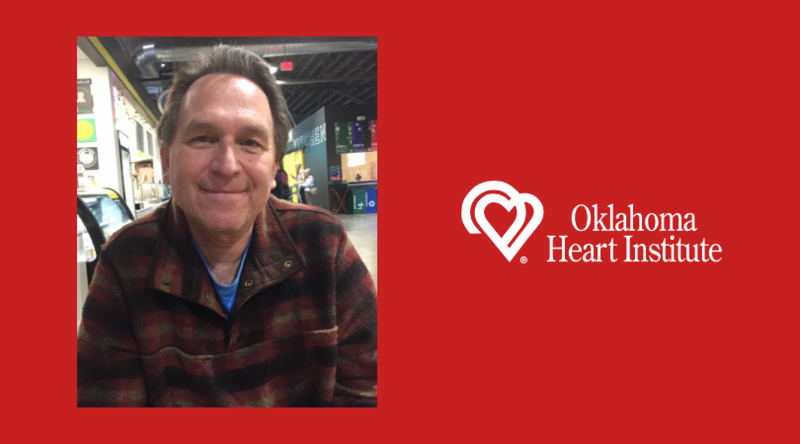 Dubois, who recently turned 57, has profound gratitude for everyone that has been involved with his care at Oklahoma Heart Institute. Dubois continues to see Dr. Chandwaney and his team for cardiovascular care and will soon begin cardiac rehab.